I accidentally deleted my saved posts which aggravated whatever sad state I was in two weeks ago. But then after mulling things over, I think it's a blessing in disguise because it gave me the time to really come to terms with another season lost for my homeboys. Now it's time to move on! So here's one that I made just recently. 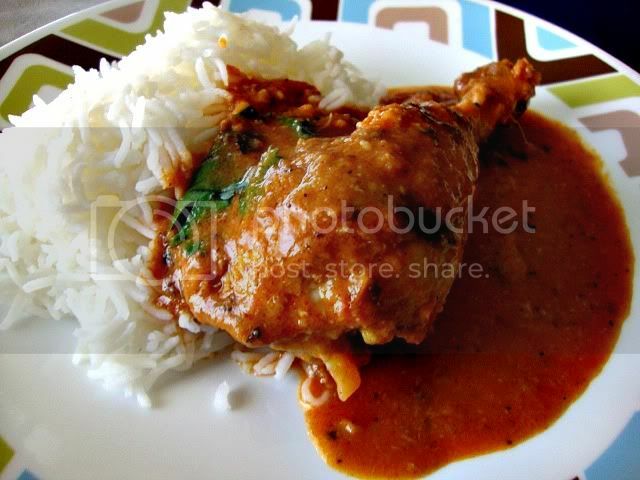 It is a cross between my chicken biryani and butter chicken. 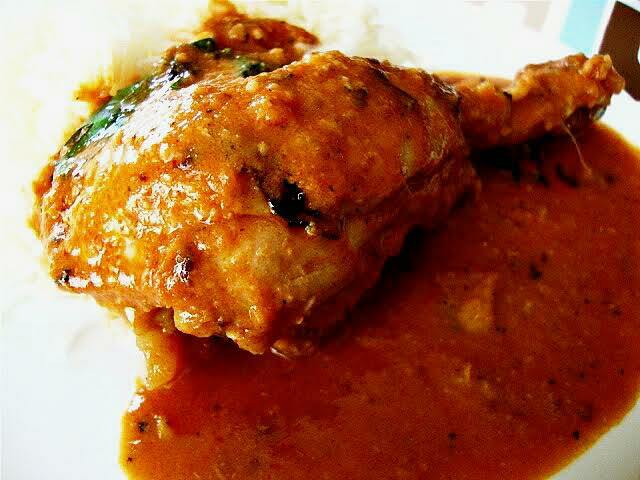 Overall, it has the same delicious layers of flavors which is prevalent in Indian saucy dishes. 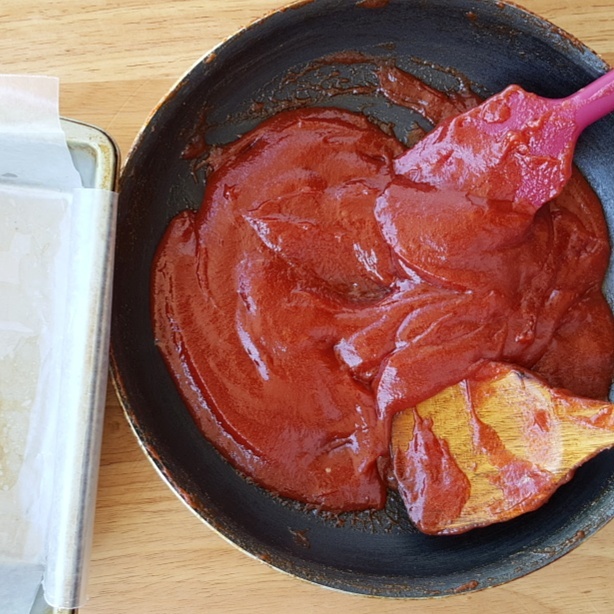 The ginger-yogurt marinade is key and so is grilling the meat first for that charred taste and then finishing it off in the creamy red curry bath. In large bowl, whisk together yogurt, ginger, garlic, salt and black pepper. Wash and pat the chicken pieces dry then add to the yogurt mix. Heat skillet over medium heat and add the butter and olive oil. Add the garlic, ginger, and Serrano pepper. Saute until lightly browned around the edges. Add the tomato paste and cook until the tomato has darkened in color. Add the paprika and garam masala, and saute for about 1 minute to bring out their flavors. Meanwhile, place the chicken pieces in a broiler pan covered with aluminum foil or you can opt to grill them just to have the charred exterior. Pour the sauce back into the pan and bring to a boil. Feel free to add another Serrano chili for more heat. This is making me hungry, and I don't even like tomato! Looks delicious. You're welcome. Ah just not a fan of the flavour! But this looks great! How convenient! 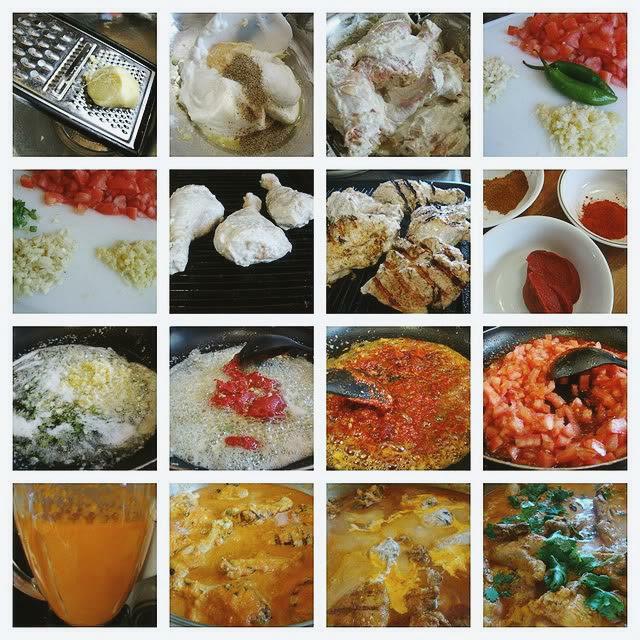 For some reason, I've been craving and eating tikka masala almost every other day for the past two weeks. :) Thanks for this!